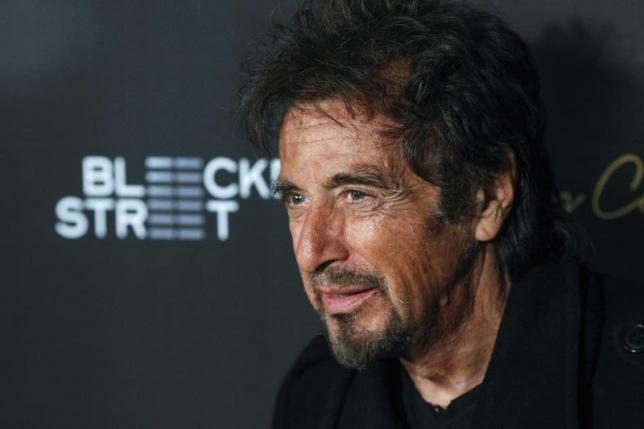 LONDON – Al Pacino apologized on Monday for his singing in the movie in which he plays the aging rock star Danny Collins. The 75-year-old Pacino delivers a rare comic turn in the film about a singer who discovers a letter written to him by John Lennon four decades earlier. The star of “The Godfather” and “Scarface” admitted he suffered from nerves when the script demanded he perform in front of a crowd. “I will tell you the one thing you learn about singing in front of an audience is it’s really hard to hang onto the words,” he said. The Oscar winner also recalled once bumping into John Lennon in New York near Central Park. “I ran into John Lennon but it wasn’t a run in, we were like ships in the night, we passed each other but he looked at me and smiled and I smiled back and we both waved. It was a moment that I’ll never forget,” he said. In the film, released in the United States in March, Danny Collins abandons his hard-living ways and touring to build a relationship with his family and start writing songs again. Pacino was joined on the red carpet by British musician Steve Tilston, who received a letter from Lennon 40 years after it was sent and whose experience inspired the movie.